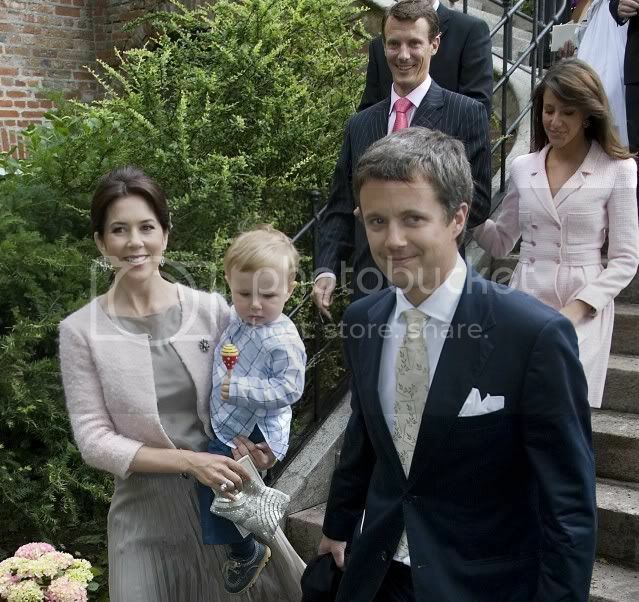 On Saturday (16 June 2007) Frederik, Mary, Christian, Joachim, Marie, Gustav, Carina Axelsson, Alexandra and Martin Jørgensen, among many other guests, were all together at the christening of Josephine Margaretha Victoria Fleming at Valdemar's Castle in Tåsinge, South of Fyn. 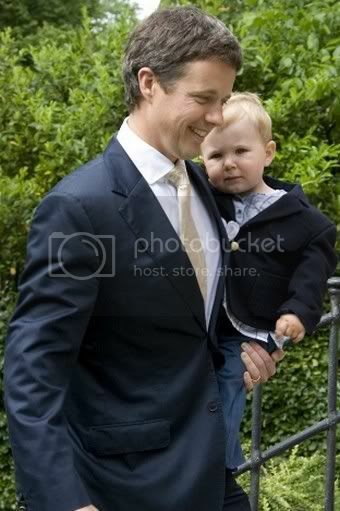 Crown Princess Mary was godmother. Lille Prinsesse was no doubt nearby. 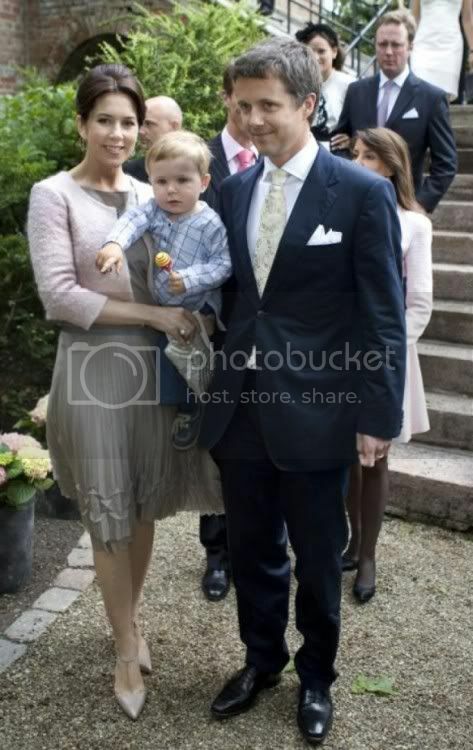 This is the first time we have seen public photos of Marie Cavallier accompanying Prince Joachim and with the Crown Prince Couple. 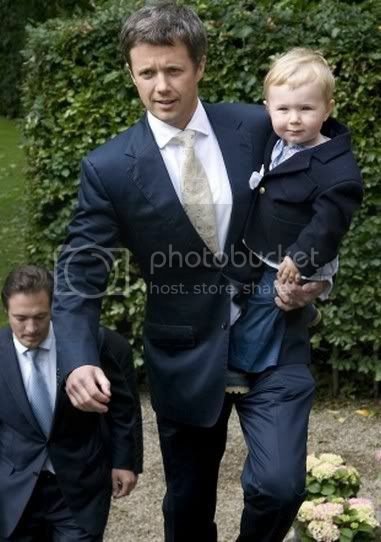 Rory David Fleming and his wife, née Baroness Caroline Iuel-Brockdorff, had their second child, Josephine Margaretha Victoria, on 20 December 2006. Caroline Fleming is married to Brit Rory Fleming, the son of Robert Fleming and his wife, Victoria Margaret Aykroyd, and a grandson of Valentine Fleming. Rory Fleming is the nephew and heir of James Bond creator Ian Fleming and the main source of his fortune is the private bank Fleming Family & Partners, headed by his father Robin. Caroline grew up at Valdemar's Castle in Denmark and in Britain. 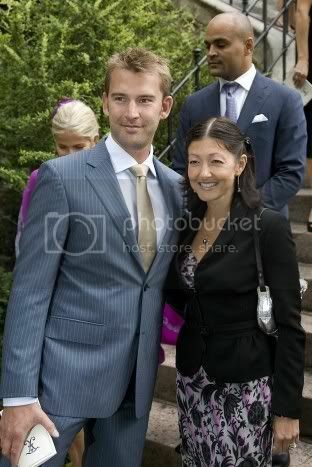 In England she met the multi-millionaire Rory Fleming and they married at a large wedding at Valdemar's Castle in 2002. They share their time between their penthouse home in London, Valdemar's Castle in Denmark (Caroline is the heir) and their place in the Swiss Alps. 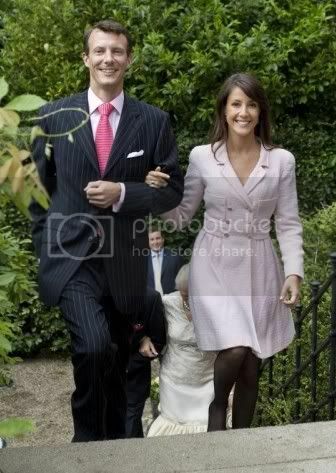 Daughter Josephine is the second child for the couple, who already have a son, Alexander. 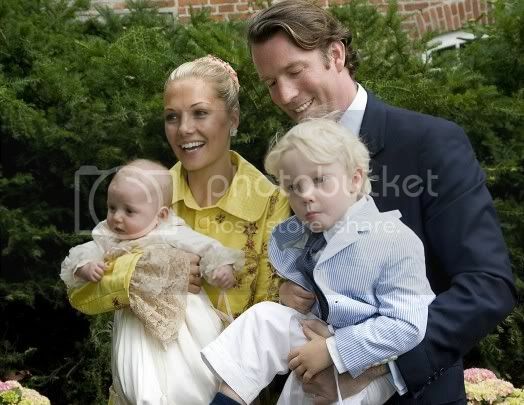 In September 2005 Frederik and Mary were at Caroline Fleming's 30th birthday at Valdemar's Slot and the couples have been to other weddings of their friends too. This party was just before Mary went to hospital for early labour pains when she was pregnant with Christian. She was released from hospital and ordered to rest by her doctors until the birth. B.T. 'Nu er Marie en del af familien' - Now Marie is a part of the family: about the significance of Marie being with Joachim at the christening with Frederik, Mary and Christian. Wonderful photos - thank you. 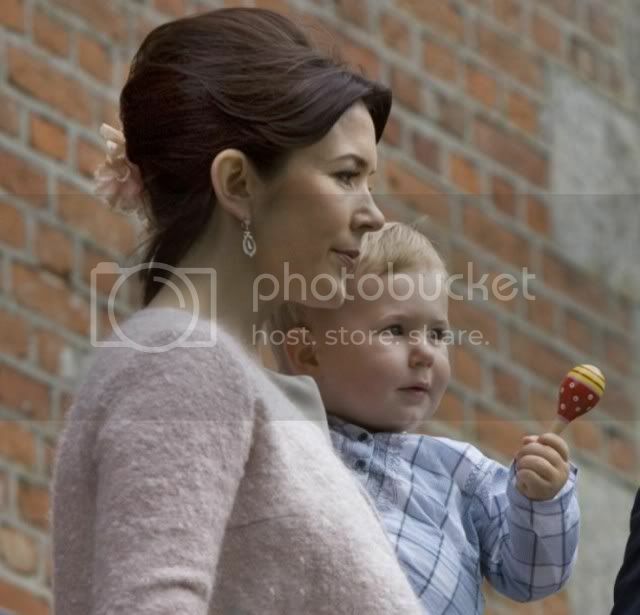 :) I wonder if Danish royals were at the 40th birthdayparty of Greek Pavlos? 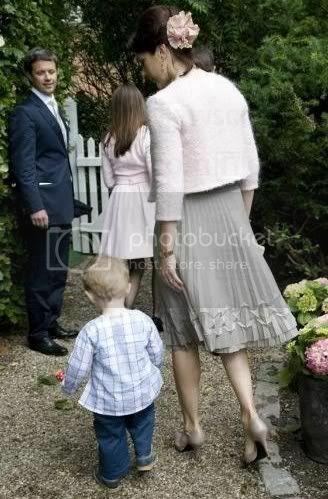 From photos I have seen there weren't any who were at the christening in London for Pavlos' party. I haven't seen any of the older generation either.